Aktari is from Newala. He received his high school education at Nangwanda and Tunduru. After obtaining his Bachelor of Arts with education (BAED) from St. Augustine University of Tanzania, Aktari worked for the census and then various secondary schools as a teacher in training. Aktari joined Jiamini in 2018. 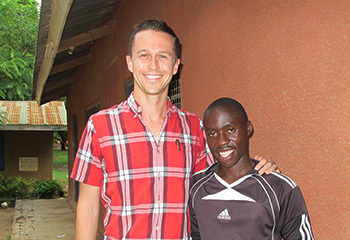 His strong passion for education and knowledge of the schools in Newala make him an asset for Jiamini. 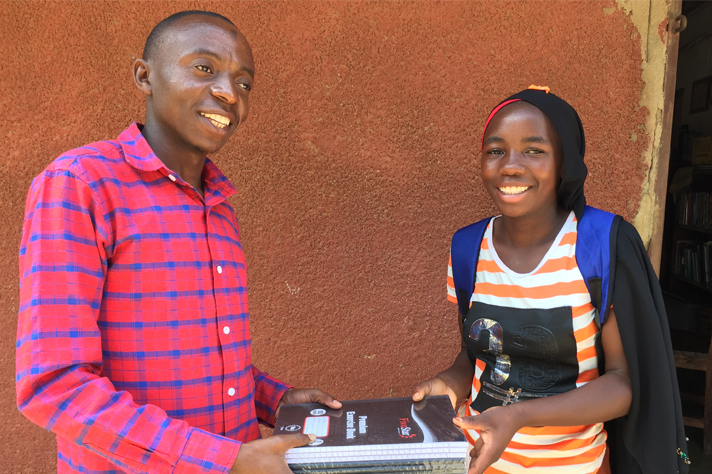 Thomas joined Jiamini as our Program Manager in Newala in 2017, after spending a year working as Fundraising Manager with a school in Arusha, Tanzania. Thomas studied Political Science in Amsterdam, the Netherlands and South Africa, earning his Master’s degree with research on the impact of education on economic growth in Africa. Before coming to Tanzania Thomas worked in banking in the Netherlands and managed projects in education in Rwanda and agriculture in Nigeria. Katie has dedicated her career to helping businesses incorporate benefit to people and planet at the core of their operations. She is currently the Director of Community for Virgin Unite. Previously she was the head of Values & Impact at Etsy, and Director of Media for Reuters Australia. She is a member of the B Team and an RSA Fellow. Her initial desire to work with developing world populations was sparked while doing biological field research for the Micronesian government. Katie has a unwavering belief humanity’s ability to solve the world’s most intractable problems – one small action at a time. Brad works as the Head of Technology for The Hallway, an independent advertising agency in Sydney, Australia. He has worked in digital for more than a 15 years. Brad started his career in banking at JP Morgan. He worked at a start-up in Manhattan during the first dot com boom, and then moved to insurance consulting during the bust. Seeing the emerging opportunities in social media, Brad moved to crisis communications in 2004, and then on to interactive marketing agencies. He fell in love with Tanzania when he first visited in 2007. 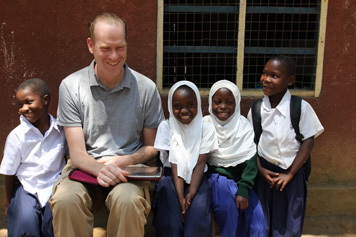 He is grateful that he gets to play a small part in improving the Tanzanian educational system. Elizabeth is a resident physician at UCLA Medical Center in Los Angeles, California. 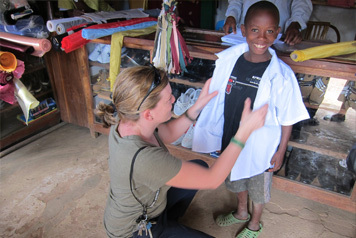 She first came to Tanzania in 2007 to work with vulnerable children in Moshi, where she met Jen. Since then she has directed Jiamini’s School Improvement Projects, as well as assisting in students’ health-care needs and day-to-day operations. Her other past work includes clinical practice with adolescents living with HIV, liver failure research, and social work for people living with addiction. She earned her MD from Columbia University, and her BA from Dartmouth College. Jen is the Country Coordinator for Neglected Tropical Disease Programs at Helen Keller International Tanzania; she lives in Dar es Salaam with her family. 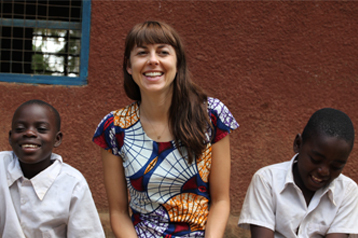 She first moved to Tanzania in 2005 as a US Peace Corps volunteer in Newala, where she taught vulnerable young people about HIV prevention and life skills. In the intervening years she has worked with street-involved children in Moshi, run a clinical research trial for blinding trachoma in Mtwara, and obtained her Masters Degree in Public Health at Johns Hopkins University. Before beginning her work in Tanzania, Jen worked with teenagers in foster care and in homeless shelters in New York City. She received her Bachelor of Arts degree from New York University.